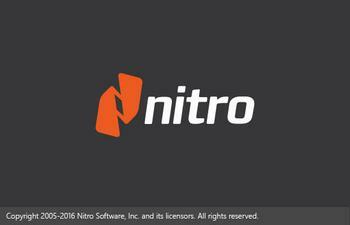 Nitro Pro portable gives you everything you need to create, convert, edit, sign, and share standard PDF files. It’s simple, straightforward, and intuitive to use – so you can work more productively, your way. With Nitro Pro you can share your files with others, no matter what platform or device they’re on, and Nitro Pro makes conversion easy. Convert one or more files to PDF with just a click or two. Reuse and repurpose PDF-based content with greater accuracy. With Nitro Pro’s industry-leading conversion technology and array of extraction tools you can easily repurpose text and images from reports, presentations, and more for reuse in any other application. Share files with the peace of mind, knowing almost anyone on almost any machine can open, view, and review – every time. · Create ‘intelligent’ PDF documents with bookmarks, links, metadata, and security from Microsoft Office programs. · Create easily searchable, PDF/A compliant documents for archiving with ‘Searchable Image’ mode.